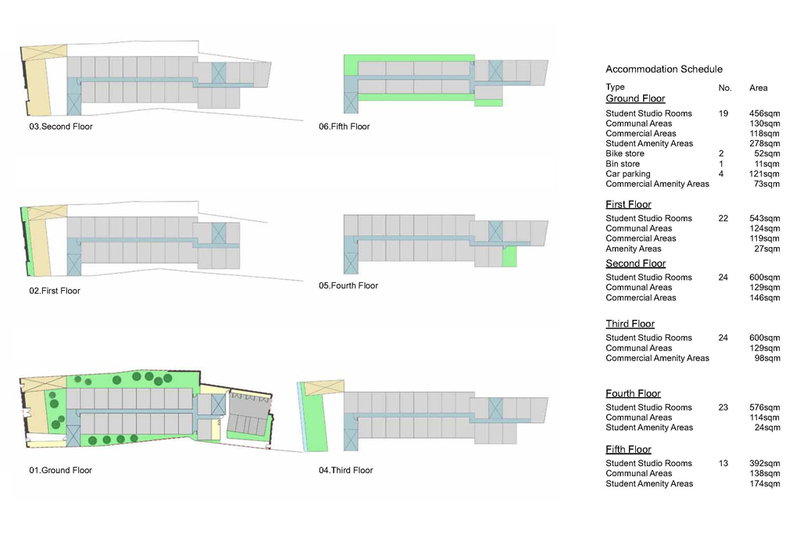 Khoury Architects proposed 125 student accommodation units, a restaurant and a gymnasium covering a total building footprint of 780 square metres, leaving 547 square metres of open land for parking and amenity. design and materiality, while enhancing the area through high quality modern design with a scale befitting a landmark development. The stone detailing and fine rubbed and moulded brick of adjacent buildings prompts further use of stone and masonry, yet in a modern manner, to the rear accommodation block. The facades are animated to provide passive solar shading to the glazed areas. 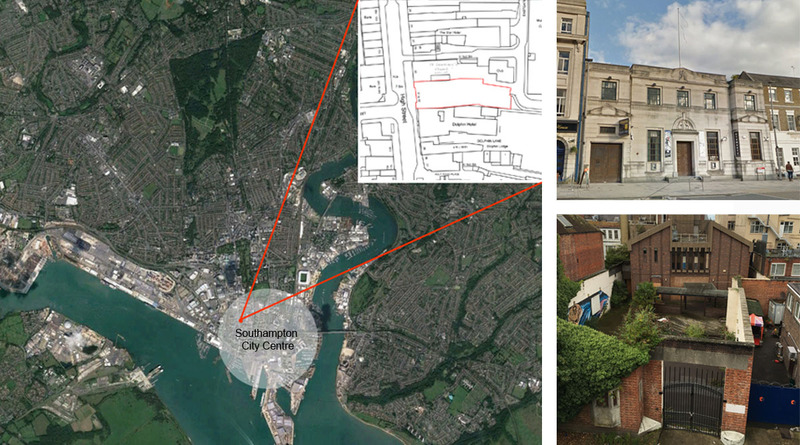 The scale and massing of the proposed buildings have been determined by the sensitivity of their surroundings and current planning legislation. 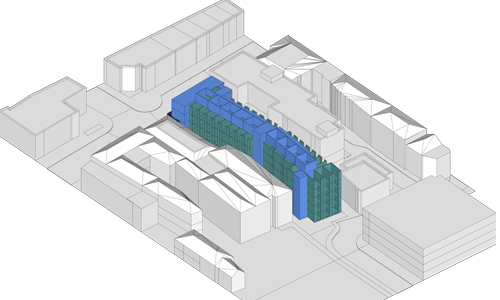 The proposals deliberately adopt a transitional scale, from three storeys at the front to five towards the rear, to reflect the heights of the neighbouring buildings. 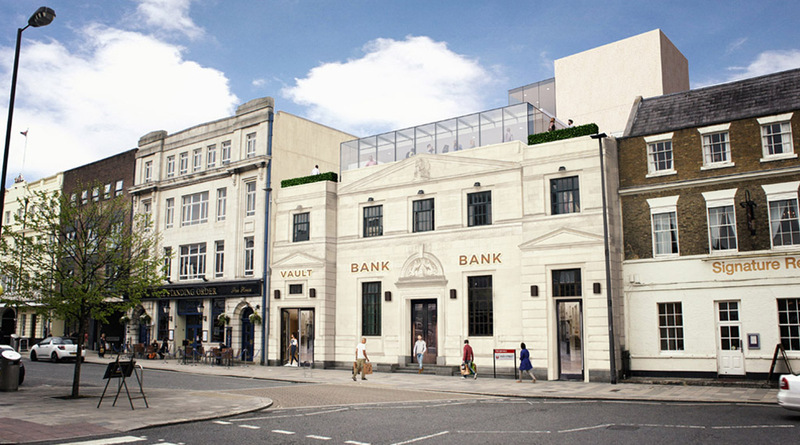 The top storey of the commercial block, which sits at the front of the site, is stepped back from the existing façade and boundaries to present a stepped roof-scape to the High Street. Khoury Architects led the pre-planning submission and co-ordinated all information required for the submission of a full planning application. 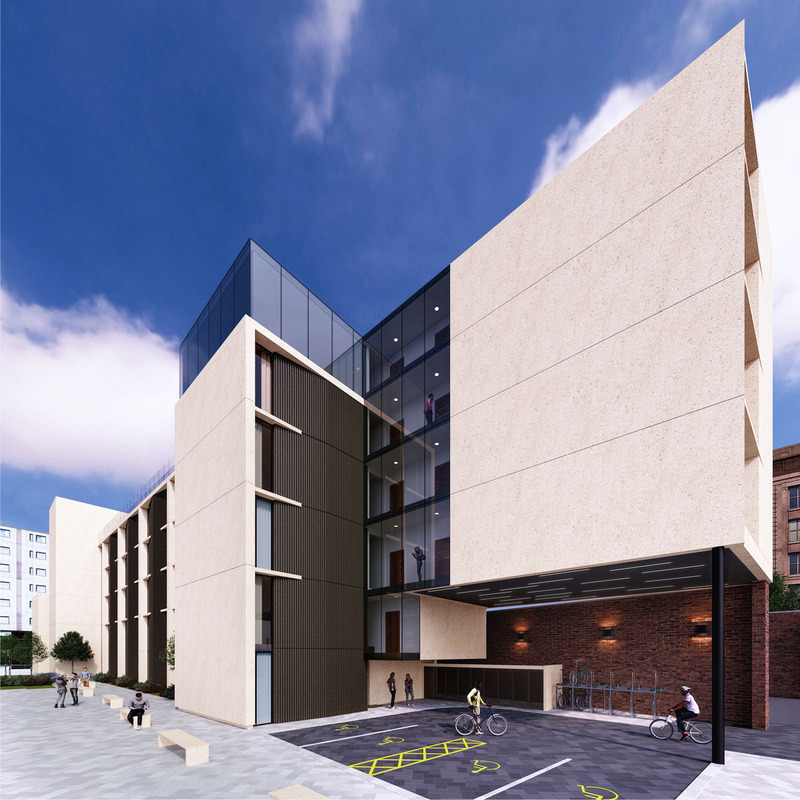 This included a landscaping proposal, ventilation & heritage statements, a Transport Plan, a geo-environmental site assessment and archaeology, drainage & student accommodation demand reports. 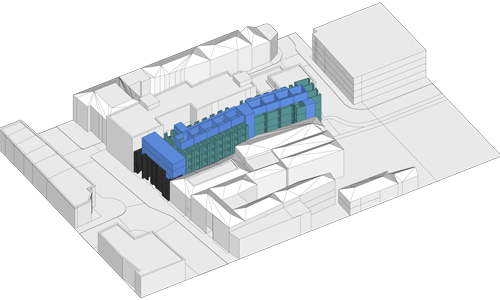 We also managed a visualisation artist who generated computer images to illustrate how the proposed scheme would work contextually and aesthetically alongside neighbouring buildings. 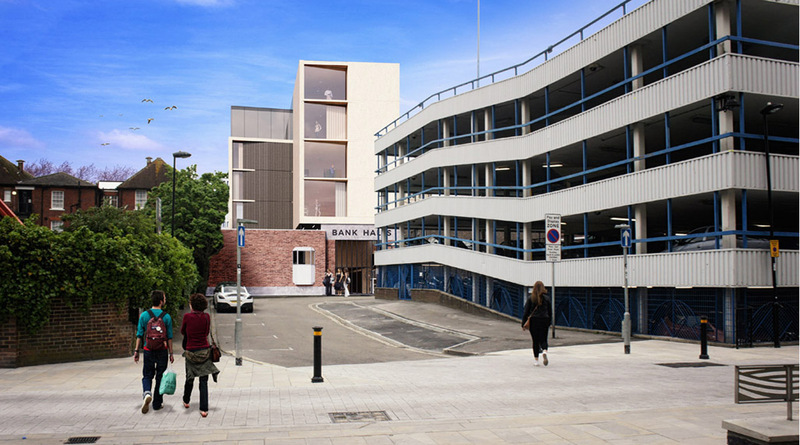 Khoury Architects also had to generate a design with consideration for Southampton City Council’s desire to achieve an Excellent BREEAM rating.